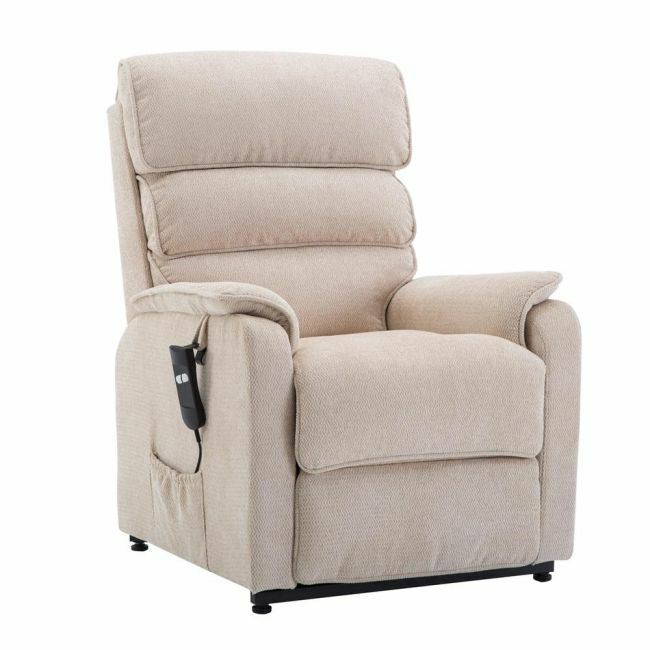 The Henley Riser Recliner features a single motor mechanism and is supplied with easy to use, two button handset, offering a simple operation for the user. The single motor mechanism allows the user to either recline the chair to a comfortable snooze position or raise to an almost standing position for assistance getting in or out of the chair. The Alicante is finished in a luxury mocha or latte fabric material to add the finishing touch to your home decor. In addition to the attractive upholstery it also includes sumptuous cushioning and a waterfall backrest to provide ultimate comfort and relaxation.